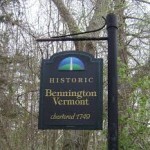 Bennington VT - Hoisington Realty, Inc. for virtual tour and additional details... Listing Agent: Kelley McCarthy. Just reduced to $112,500! 149 Imperial Avenue, Bennington. This Bennington Village home is a located in quiet neighborhood on double in-town lot with mountain views. Well maintained Federal style home features large rooms, upgraded kitchen with all appliances, hardwood floors refinished with non-toxic eco-friendly stain, 4 upstairs bedrooms, front sitting porch, back screened in porch, nicely landscaped yard, detached two car garage. Walking distance to town amenities. Well worth a look! Click here to see more. Listing Agent: Kim Warren. $175,000. 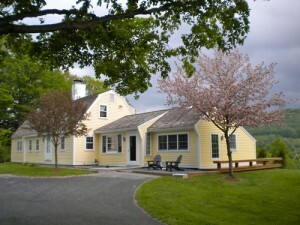 A Bennington village home to grow with! 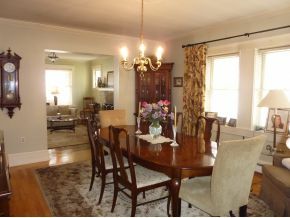 This Bennington village home, located at 112 Congress, Street, Bennington, offers so much! What we love about this home are all of the improvements that have been accomplished. This includes a wonderful new kitchen, two fireplaces and an extra large master bedroom with a skylight and walk in closet. There are exposed beams and rough pine paneling that emphasizes a cozy family setting. There is room for everyone's hobbies in this great family home and it is located on a quiet dead end street next door to the High School ball fields. It is a perfect find for the active Bennington family! The backyard is a wonderful playground for kids and pets and is visible from the kitchen windows. Enjoy views of Mount Anthony from the master bedroom on the second floor! With four bedrooms and two baths, there is room for a growing family or folks who just want to spread out! Listing Agent: Joyce Scarey. $168,500. For home buyers with an appreciation for history, this 18th century Bennington village home located at 643 Main Street, Bennington, offers spacious rooms and wood floors, large country kitchen with wood stove, and walk in pantry. Formal dining room with fireplace, large living room, and parlor or 1st floor bedroom, wheelchair accessible bath with shower. Three bedrooms, one bath and study on second floor. New deck and beautiful yard right in the heart of Bennington. Zoned for residential and office use. A must see! Listing Agent: Ann Cummings. $169,000. 108 Observatory Street, Bennington. Traditionalists love Victorian era homes and this c.1890 home is located in one of the quietest, loveliest residential sections of Bennington; a true village neighborhood of comparable homes. With 2230 square feet of living area it can be used as a single family home or with its existing apartment. 10 main rooms, 5 bedrooms and 3 baths will fit either need. In addition to the lovely moldings and new kitchen there are updated systems including a newer furnace and an improved basement that have added value and efficiency. Enjoy your surroundings from a Lincoln rocker on your wonderful wrap around front porch! Listing Agent: Kim Warren. $159,900. Who Wouldn't Want to Live in Bennington? Who wouldn't want to live here? 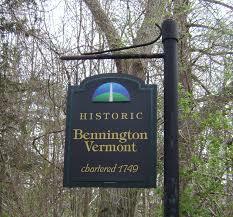 We are not only the gateway to Vermont but we are where Vermont began when Bennington was chartered in 1749. We are rich in Revolutionary War history and contributed many soldiers to the Civil War as well as all of the other wars to come. We are both patriotic and peaceful. We have gorgeous views and waterways and now welcome people to town not only at the Chamber of Commerce and Better Bennington Corporation but also at the spectacular new Vermont Welcome Center at the edge of Town. We are abundantly endowed with cultural and historic resources! For those passionate about history, there is the Bennington Battle Monument, which is the tallest structure in the State of Vermont and the c. 1761 Old First Church and graveyard where Revolutionary War heroes as well as Robert Frost and his wife Elinor lie. There is also the Bennington Museum, the Bennington Arts Center, the Vermont Arts Exchange, Park McCullough House and Carriage Barn, the Robert Frost Stone House Museum, Oldcastle Theatre, Sage City Symphony and Summer Sonatina. We ski, bike, hike, run, play golf, ride horses, snowmobile, snowshoe, fish and hunt when weather permits and we also have indoor tennis, swimming and riding. 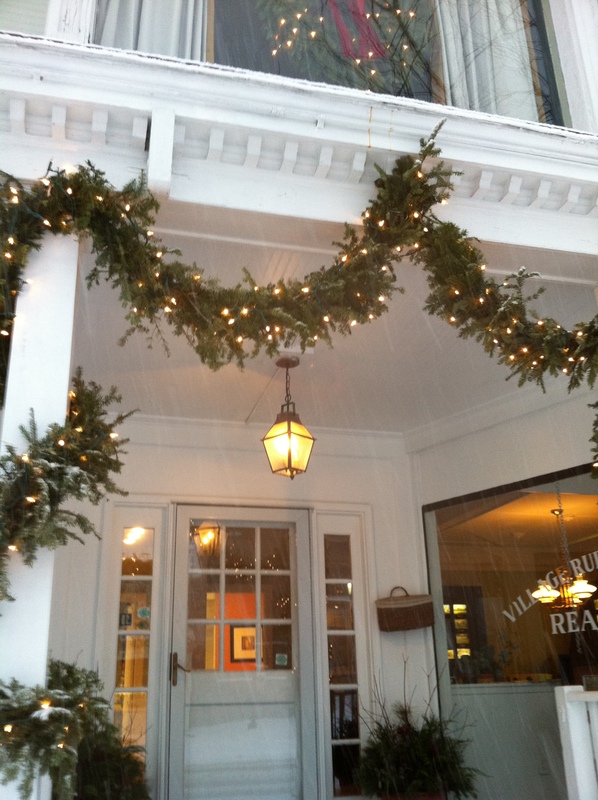 We have three libraries; two in Bennington and one in North Bennington. We have a splendid park and two lakes, Lake Paran and Lake Shaftsbury at the Shaftsbury State Park. There are numerous walking paths and land trusts that preserve our land and a nature conservation center on the south side of town. We act like a bigger town than we are with a remarkable Medical Center as well as the State of Vermonts only Veterans Home. We are home to no less than four colleges and three nursing programs. We can boast of a new Middle School in a fabulous location and a High School that offers many opportunities from Vocational to AP Courses and a full array of arts and athletic programs. In addition we have several private schools that broaden our selection of elementary education. We have an exciting and eclectic mix of interesting shops in the Central Business District and a growing commercial/industrial district on the north side of Town. Last but not least we have a wide array of restaurants that can satisfy the most discerning diners as well as families on a budget. Our three covered bridges that span the Walloomsac River are renowned, visited frequently by those from around the world. We hope they stay overnight, or longer, at our many inns, hotels, motels and B&Bs and fall in love with this area like we all have. Here is the best part: We are an honest town, which I define as one without pretensions or phony colonial hype. We work and play together out of mutual interest not stigmatized by background or income. We represent all income levels and have been here for generations or just arrived. We show great tolerance for each others religious or non-religious beliefs and ways of life but we share the same appreciation for community and the beauty of our area and guard it ferociously against indiscriminate development. We dont have to move up with the Joneses as people value each other for who they are and not what they have. Who wouldnt want to live here? Thanks to all of our clients, customers and friends who are part of our world. Have a Happy Holiday Season from all of us at Hoisington Realty! 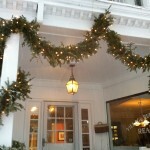 151 Morgan Street, Bennington. Great Price for a great place to start.. or finish! this home has a large living room with fireplace and built-ins, nice kitchen with dining area, three bedrooms, one bath and attached one car garage. Listing Agent: Kelley McCarthy. $133,300. 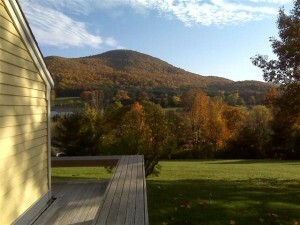 Bennington Home with Amazing Views! 9 Hill Shadow Farm Road, Bennington. THIS BENNINGTON HOME IS COMPLETELY CUSTOM! This Royal Barry Wills Expanded Traditional Cape style design home exudes elegance and panache. Gourmet galley-style kitchen, family room that opens onto expansive deck, formal living room with fireplace and first floor master bedroom suite with built-ins. Media/music room. Two generous sized bedrooms and full bath on second floor. Grateful shed fully insulated, heated and wired currently used as a home office. Spectacular pastoral views in a private setting on over three acres. A very special property. Listing Agent: Kelley McCarthy. Just reduced to $370,000! 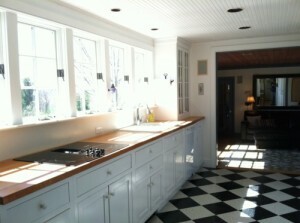 Sunny kitchen with unbelievable views! 117 Union Street, Bennington. Stucco home in the Village of Bennington with professional office potential. Entertain in this large five bedroom, three and half bath home! Living room with gas fireplace, hardwood floors throughout, formal dining room, family room, breakfast nook and galley kitchen. Covered front porch, back patio and detached 2 car garage. Kitchen and baths have been updated with new appliances, granite and tile. Virtual tour, photos and details are found here... Listing Agent: Kelley McCarthy. $295,000.